Characteristic finca that allows you to immerse yourself in the typical Ibiza atmosphere. This restored mansion is comfortably furnished with a mix of traditional and modern influences. The mansion has several terraces such as the lounge area below the pool house, where you can enjoy a beautiful view of your private pool. Surrounding the pool (11 x 6) is a spacious sun terrace with comfortable sunbeds and in front of the villa you'll find a covered terrace. Of course, it's also fun to eat together outside, which is possible on the side of the finca, where there's a large terrace with a remarkable stone dining table. 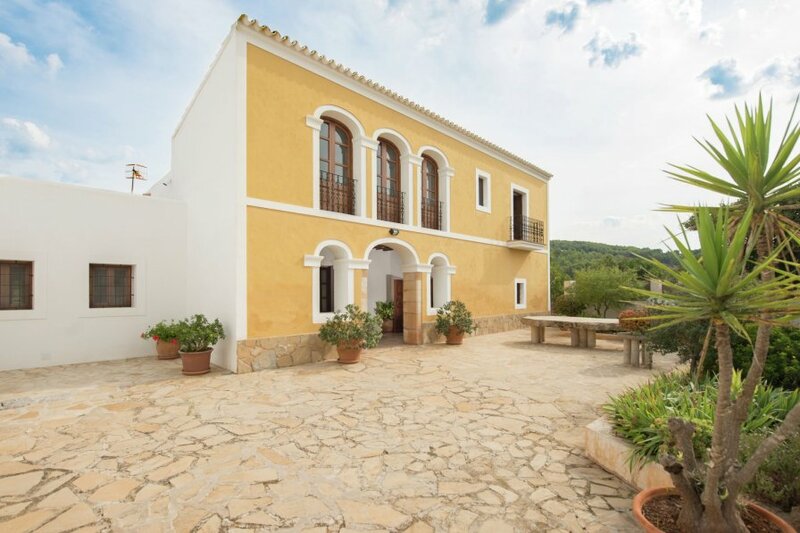 You can enjoy this typically Ibiza-style finca with a large group. This finca is easily accessible via the main road between the villages of Santa Gertrudis and San Miguel, which are approximately 3 km from the finca. The popular clubs in San Rafael are just a 15-minute drive away and the capital Ibiza Town can be reached with 20-minute drive.